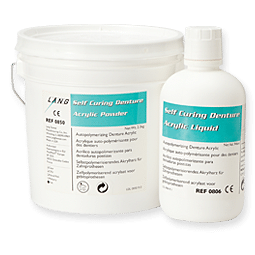 Denture Acrylics - Lab Depot ltd. 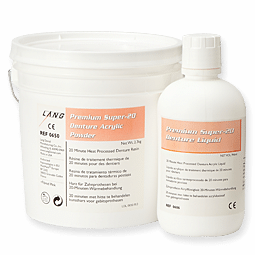 Premium: Lang most popular denture base resing for traditional heat cure techniques. 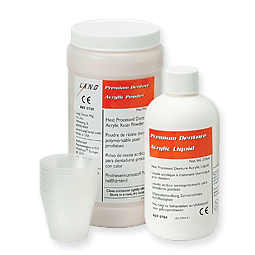 High Impact-45: A more flexible heat cure denture resin than the premium acrylic, formulated specifically to reduce breakage. 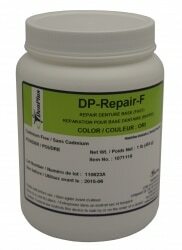 A longer working time autopolymerizing denture base and repair acrylic formulated to cure in 15-20 minutes. 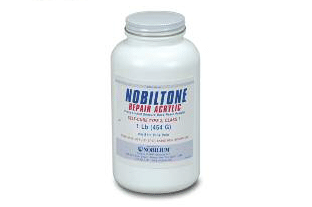 Is shaded to work precisely with all Nobiltone acrylics. You can use bot conventional or “salt and pepper” techniques.